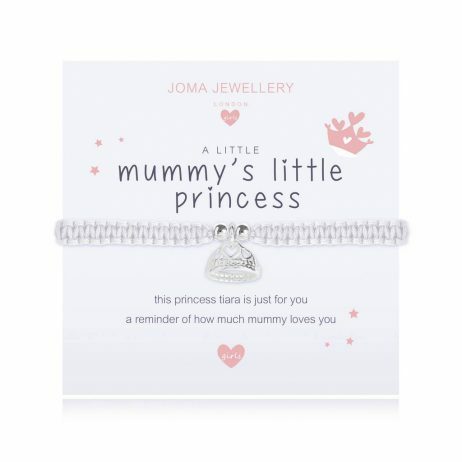 A beautiful silver tiara charm on a simple white friendship cord with an adjustable bead. 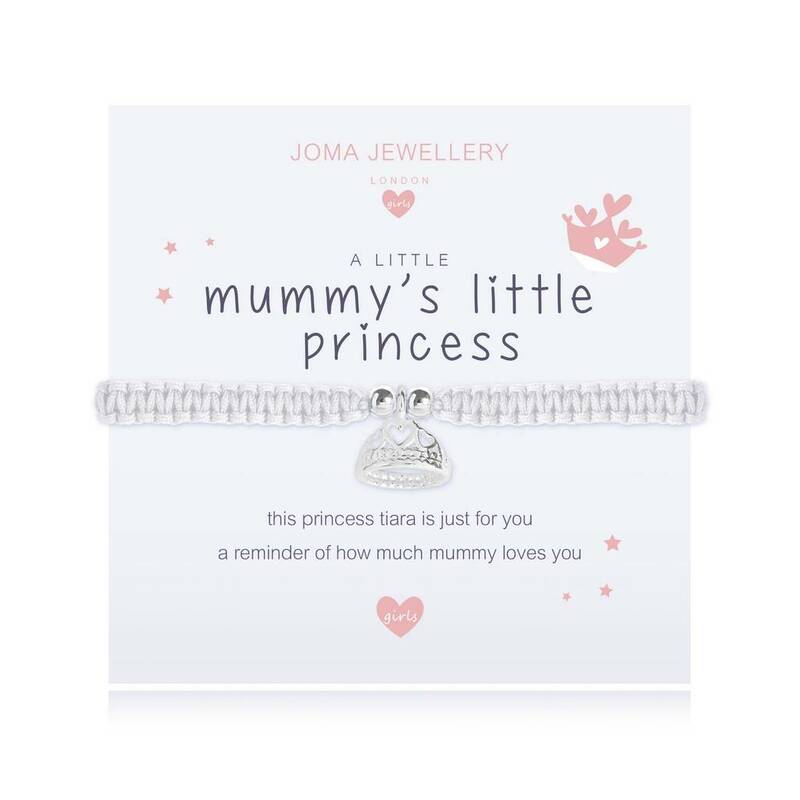 The touching message on the card reads “this princess tiara is just for you, a reminder of how much mummy loves you”. 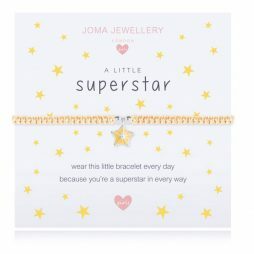 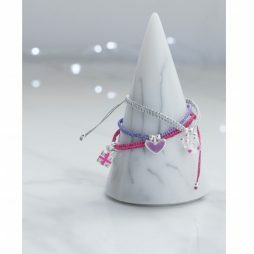 Joma Jewellery Girls is the fabulous UK designed collection of silver plated children’s jewellery featuring bracelets and necklaces with a heartfelt message. 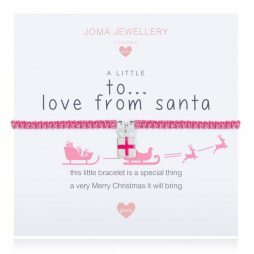 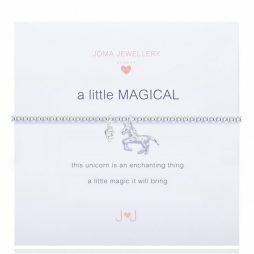 This unique children’s collection from Joma Jewellery is overflowing with magic and sparkle, from fairy queens to happy penguins, with the nicest of sentiments to create the ideal gifts.